Under the British Council’s Researcher Links scheme offered within the Newton Fund and supported by the Dept. 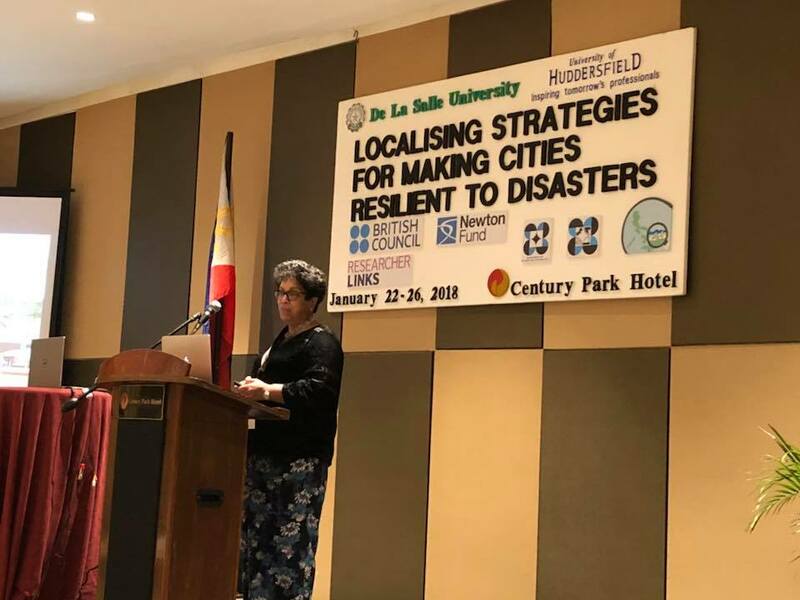 of Science and Technology (DOST) and PCIEERD, the international workshop on "Localising Strategies for Making Cities Resilient to Disasters was successfully organized by the faculty and staff of De La Salle University and University of Huddersfield last 22nd to 26th January 2018 at the Century Plaza Hotel, Manila, Philippines. In the welcome program on Jan 22, 2018, Dr. Andres Oreta (Philippine coordinator) welcomed the guests and participants while Prof. Raymond Girard Tan (DLSU, VCRI) gave the opening remarks. Prof. Dilanthi Amaratunga (Huddersfield University) introduced the workshop objectives and schedule. The highloghts of the workshop are summarized below. 18 participants from various universities of the United Kingdom and 21 particpants from universities, GO's and LGUs of the Philippines were selected by the workshop organizers to attend the five day workshop. 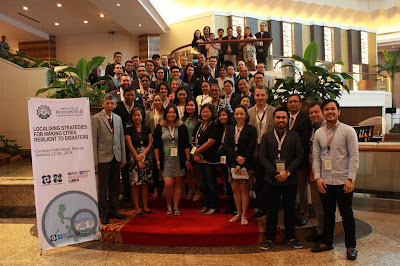 The participants from DLSU were Dr. Mario De Leon, Dr. Jason Maximino Ongpeng, Dr. Marla Redillas and Mr. Raniel Cris Macabare of the CE Dept., Dr, Lawrence Materum (ECE Dept), Shieradel Jimenez, part-time faculty teaching Business Management and Dr. Nadine Ledesma of DLSU Araneta University. 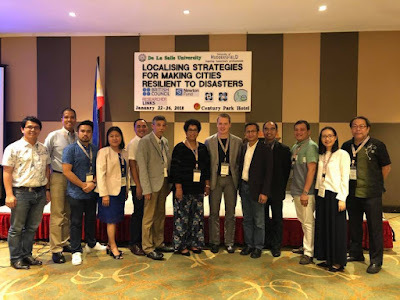 · BF1: Local Issues on DRR in the Philippines - Resource Persons from Makati (Mayor Abigail Binay) and Albay (Dr. Cedric Daep) presented lessons on the 10 E’s application in their cities. 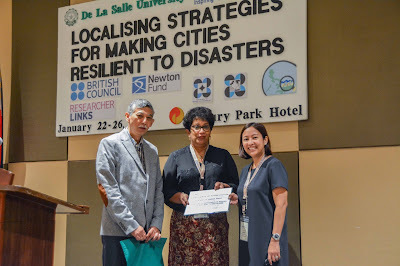 · BF4 - Getting funding for our research - Resource persons from DLSU (Dr. Raymond Tan, VCRI and Dr. Manny Biona, CESDR Director) presented source of funding for research on DRR-CCA. · PD1: An expert panel to lead a discussion about the current landscape and future opportunities for advancing the dialogue between DRR and urban cities. Resource persons include Atty. Violeta Seva (Makati City consultant), Prof. Dilanthi and Prof. Haigh. · PD2 - Pathways to impact. A discussion about how to convert research knowledge into evidence based policy development. Resource persons were Mr. Uriel Correos (Surigao City, Dr. Antonio Fernandez (UP CIS) and Prof. Haigh. The two panel discussion were moderated by Prof. Marites Tiongco, Dean of DLSU School of Economics. A five-minute self-introduction of each particpant and a presentation of a summary of a research related to the theme of the workshop. The PPP sessions were moderated by Dr. Lessandro Garciano, DLSU CE Dept. chair. The participants will be grouped into five clusters to address issues, strategies and challenges related to the 10 Essentials for Making Cities Resilient. There were four sessions of the GIS. GIS1 was moderated by Dr. Mutuc, GUS2 was moderated by Dr. Marlon Era (DLSU BS Dept) and GIS3 and GIS4 were moderated by Dr. Tanhueco. 7. SITE VISIT - A site visit to Makati, a UNISDR Model City for Making Cities Resilient. facilitated by the Office of Mayor of Makati and the Makati DRRM office. The workshop was coordinated by Professor Dilanthi Amaratunga (Global Disaster Resilience Centre, University of Huddersfield, UK) and Professor Andres Winston Oreta (De La Sallle University, Manila, Philippines). The mentors were Professor Richard Haigh (University of Huddersfield, UK), Professor Renan Tanhueco and Professor Jose Edgar Mutuc (De La Sallle University, Manila, Philippines), and Abhilash Panda (UNISDR Making Cities Resilient). 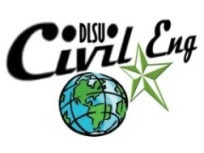 The DLSU Organizing committee belonged to the CE Department and the CESDR Subcenter for DRR-CCA. 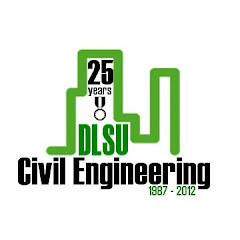 In the recent May 2014 Civil Engineering Board Exam, De La Salle University – Manila grabbed four (4) top spots and declared as the Best Performing School. 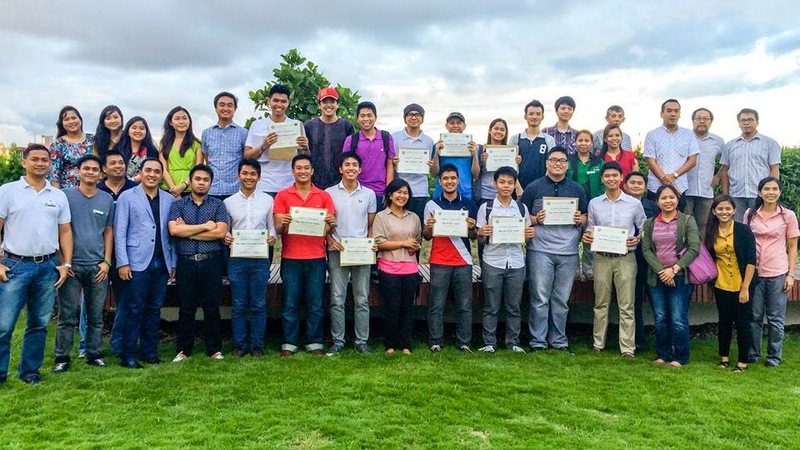 With these achievements, the Civil Engineering Department spearheaded a Special Mass and Testimonial Celebration last June 27, 2014 to recognize the board exam passers and the topnotchers, the said activities were celebrated at the Pearl of Great Price Chapel and Henry Sy Roof Deck, respectively. 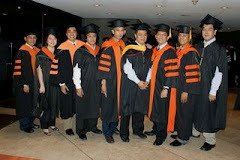 Plaques of Recognition were given to Engr. Victor Torres (Top 4), Engr. Isiah Paul Alvarez (Top 5), Engr. Arnel Telan (Top 6) and Engr. Syrus Gomari (Top 9). Also, Certificates of Recognition were given to all board exam passers. Topnotchers were given the opportunity to share their experiences before and after the board exam, they also thanked the Civil Engineering Department for their overwhelming generosity and support.